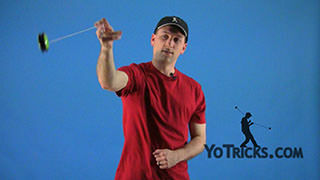 Learn the yoyo trick Shoot the Moon. 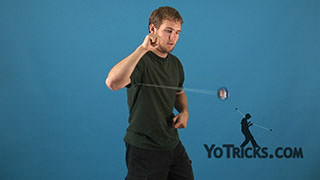 Shoot the Moon Yoyo TrickThis trick is called Shoot the Moon and it looks like this. As you can see, this is a looping trick, and if you have noticed, all it really is is a Flip, so if you have already learned your Flips, this is really just a more advanced version of that. All you are really doing is just a flip, straight up in the air. As far as Looping Tricks go, this is one of the most challenging of your basic loops to learn, it is also one of the most exciting. To an audience this can be very impressive so it’s worth the effort. 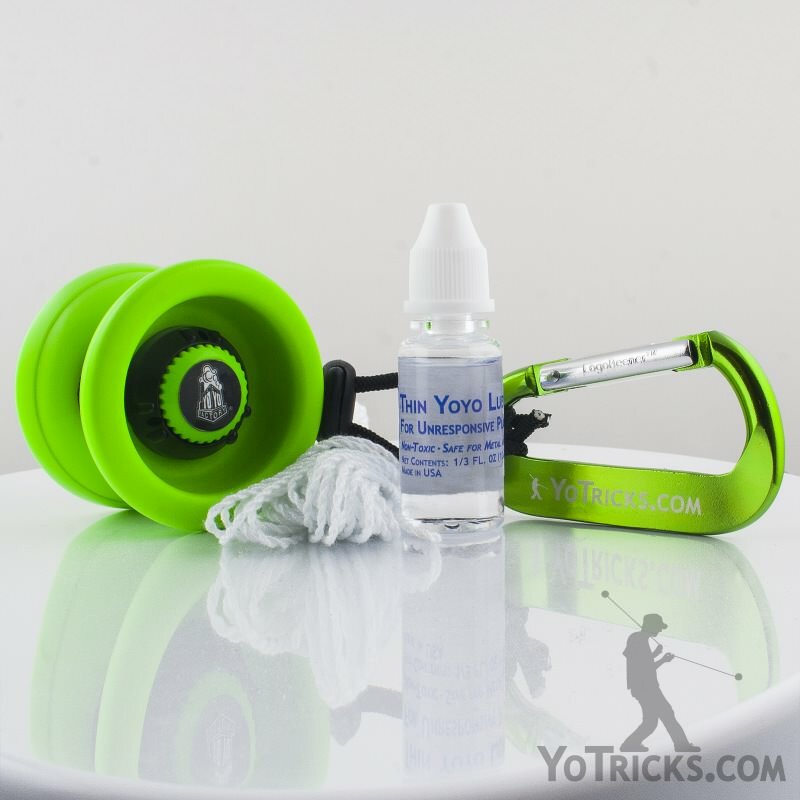 It is going to be a lot easier to learn if you use a wider yoyo like the Luminator, setup in a responsive way of course. 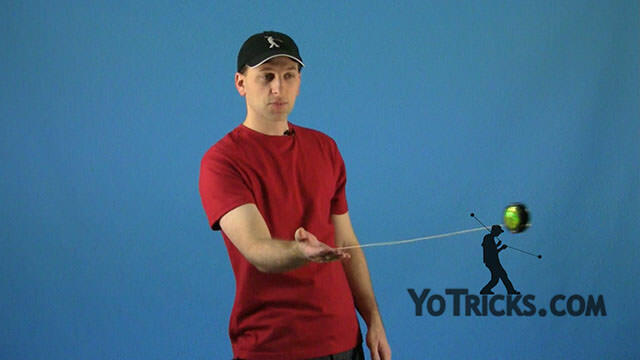 So when you start this trick one of the first things that you are going to need to get used to is just throwing the yoyo up at this angle. As you can see I think it is about a 45 to a 60; that’s about the range that you want to get it in. If you do that the trick is going to be a lot easier. A lot of people aren’t used to doing that. 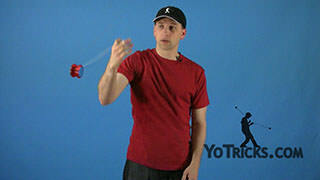 If they throw it too straight then it is difficult to push the yoyo up enough for Shoot the Moon. If you throw it to straight up then it kind of goes forward when you do the motion, and that can make it more challenging than it needs to be. 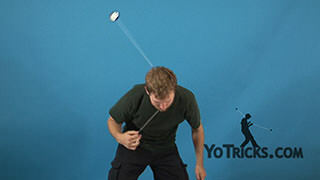 Even this throw can be a little challenging to learn, so work on that. 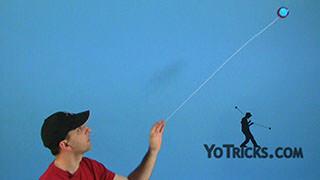 Once you get that, then all you are going to do is push the yoyo up when it comes towards you. You want it to swing below your hand right about down here it is kind of hard to say exactly where it goes, but you can see it. 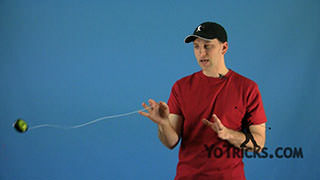 You are going to aim it to come down a little bit below your hand, and you are going to push your hand up a little bit as it goes below it, and that is going to cause the yoyo to go straight up, or just back a little bit. That is where you get the name Shoot the Moon, because it makes that moon shape. 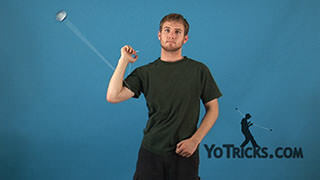 One thing that you want to be aware of as you do the trick, is you want to keep your wrist at that 90 degree angle, just like you do for all your Flips, it is just as important with this trick to do that same thing. 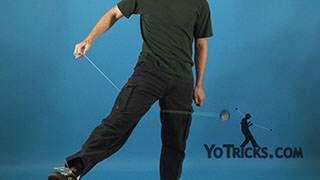 This is just one of those tricks, as you are working on it, a lot of times the yoyo, it’s just not going to do anything, and you are going to feel like it’s impossible. Then, just one time all of a sudden you are going to hit it, and it is going to feel like nothing you have ever felt before with yoyoing and it is just going to seem right and… it’s just hard to explain until it happens. When it happens then you are going to believe, and you are really going to want to get into it. 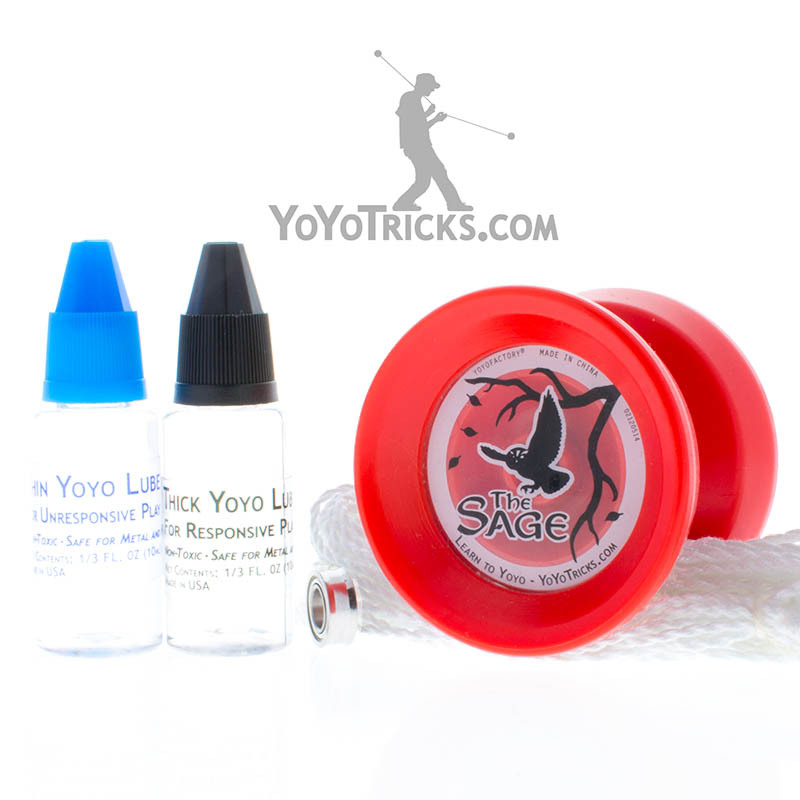 Sometimes to get to that point where you really get the yoyo to go straight up the first time it can take a long time, but it is absolutely worth it. It is just one of those really great tricks. If you want to get into two-handed Shoot the Moon, which can be very challenging, one thing you can do to keep control, is when the yoyo goes straight up on the back pass, you kind of want to cushion it with your hand a little bit. 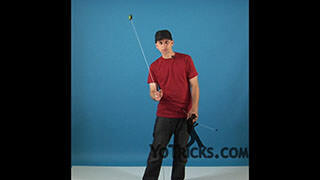 You can see when the yoyo reaches its peak I pull down just a little bit and that help you keep control of it, keep it straight. Really, like I said, once you get the basic concept down just keep working on it working on it working on it. When you get it, it is just a fantastic trick, people love it. And that’s Shoot the Moon.